Mini Goss was born in Melbourne. Her mum was a model and her dad an architect and like lots of young people at the time her parents soon got on a ship and sailed away to find excitement in London. Mini lived in London and New York for most of her childhood. Despite going to groovy parties and meeting the odd pop star Mini, an only child, longed for a 'normal' life back in Melbourne with grandparents, cousins to play with and a dog. When Mini was a teenager she returned to Melbourne, got a dog, a cat, a rabbit and some birds. She was only allowed to watch one hour of TV a day so the rest of the time she spent drawing. Her favourite thing to draw was her dog. As a grown up Mini still likes to draw her dog, her cat, rabbits, birds, fish and her three children. 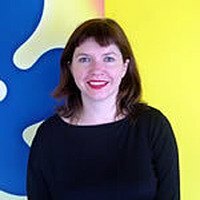 Since starting to write and illustrate children's books about thirteen years ago, her pets and children have been the models for many characters in her books. Unfortunately she isn't allowed to have her own rhinoceros or elephant and so she had to go to the zoo to find models for the characters in Rhino Neil. Mini was awarded the Crichton award for illustration in 2002. 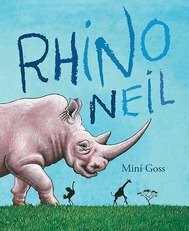 Rhino Neil has been selected as a CBCA Notable Book for 2006.